Oh my heck! In that first one: Yeah you do. 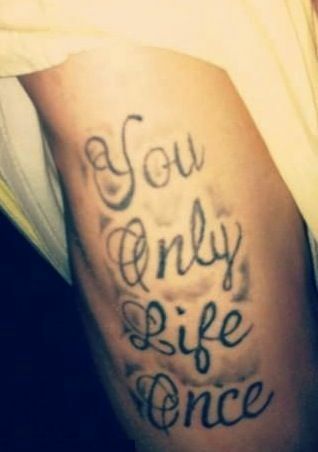 IF you’re so dim-witted that you don’t recognize a double negative and have it indelibly tattooed on your skin! And in the second…Um. 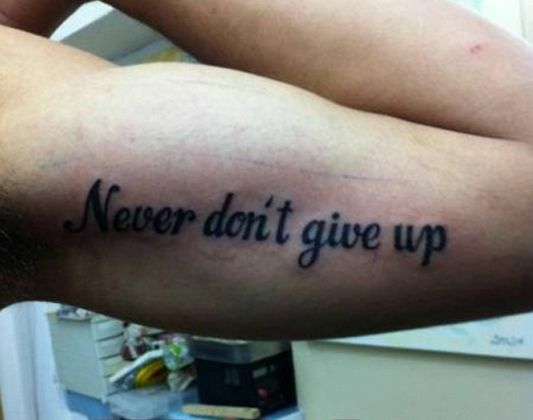 I wonder how successful that tattoo artist really IS if “f” and “v” look the same… 😉 Bwahaha! Makes me afraid for the future of humans.Talk about the dumbing down of America;) Then again when I find grammar errors in published books…. Yes, I have seen that one and look forward to seeing your favorites. I’m glad you enjoy these. I have a blast looking for them.